Natural deposits of astrophyllite are extremely rare across the entire globe. 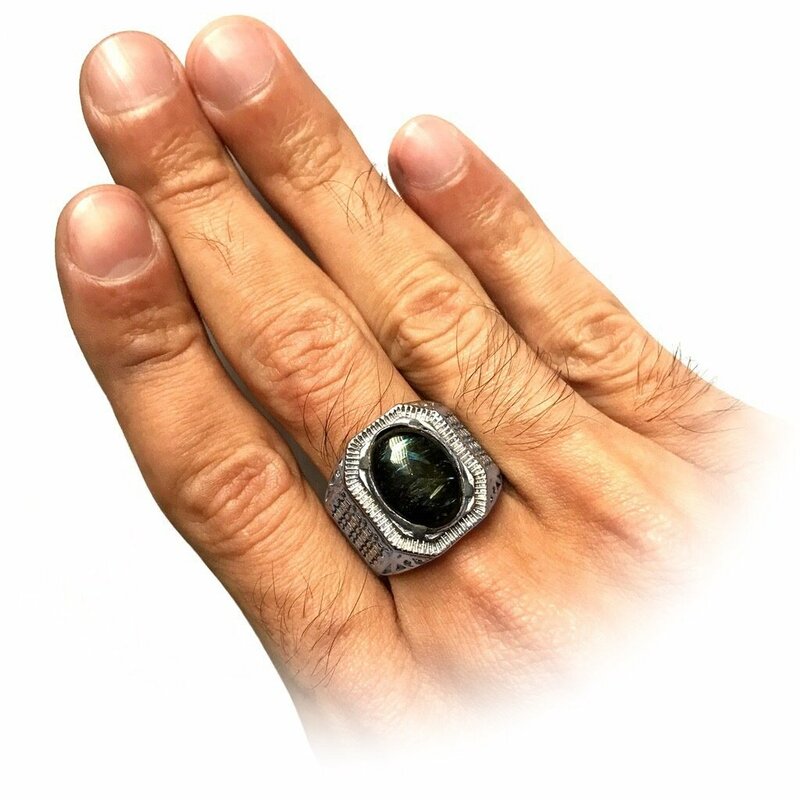 However, in Indonesia the chance to find an authentic gemstone of this particular kind is higher than anywhere else in the world, simply because of the many volcanoes that lie scattered around in the Indonesian archipelago. This black crystal quartz is valued not only for being a rare silicate mineral, but also for its metaphysical properties. Astrophyllite resembles the darkness of the void that mysteriously is illuminated by (blue) cosmic lights. 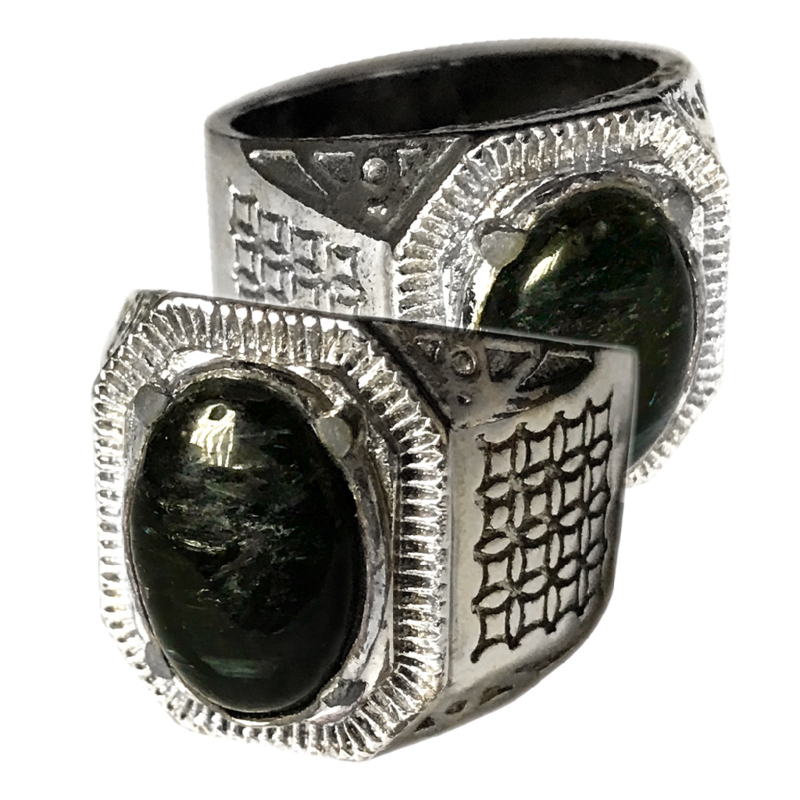 It is thus believed that the mysteries of the unseen (Arabic: al-Ghaib/الغيب) will be revealed through the aqeeq stone. A primary benefit of the astrophyllite gemstone is that its magical power naturally promotes spiritual transformation, helping the wearer find his or her true purpose in life. 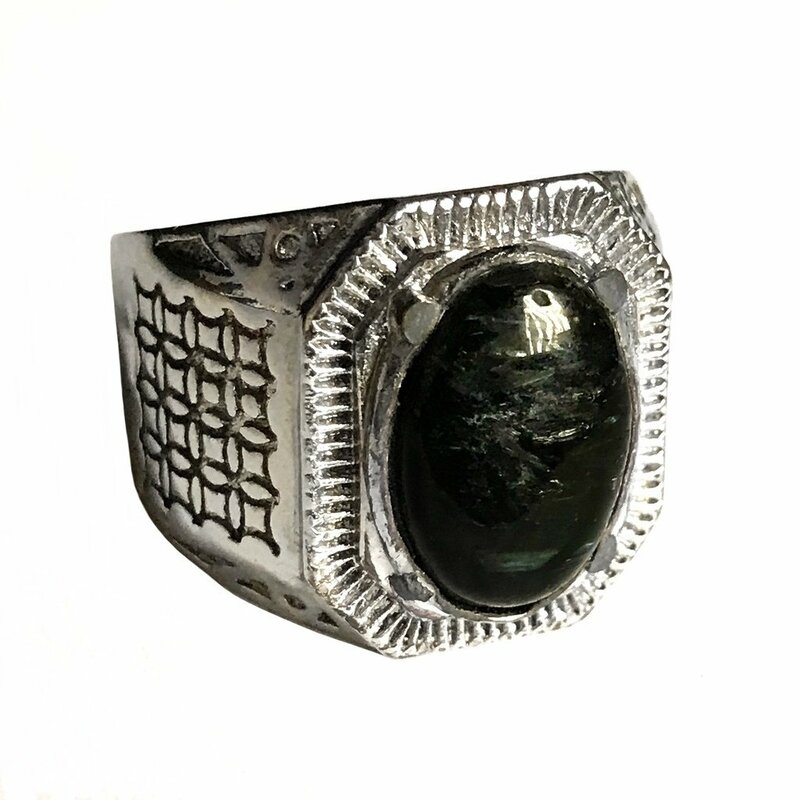 Especially people who feel sad, down, or depressed are therefore encouraged to wear the talismanic ring as it brings the light of the divine into one’s life. Also, as a mystical gem, astrophyllite emits a powerful energy through which the balance between mind and body is restored, allowing for better mental and physical health. Hādhihī sabīlī ʾadʿū ʾilā llāhi ʿalā baṣīratin ʾana wa-mani ttabaʿanī wa-subḥāna llāhi wa-mā ʾana mina l-mushrikīn. “This is my way. I summon to Allāh with insight – I and he who follows me. Immaculate is Allāh, and I am not one of the polytheists.” (Qur’ān 12:108). 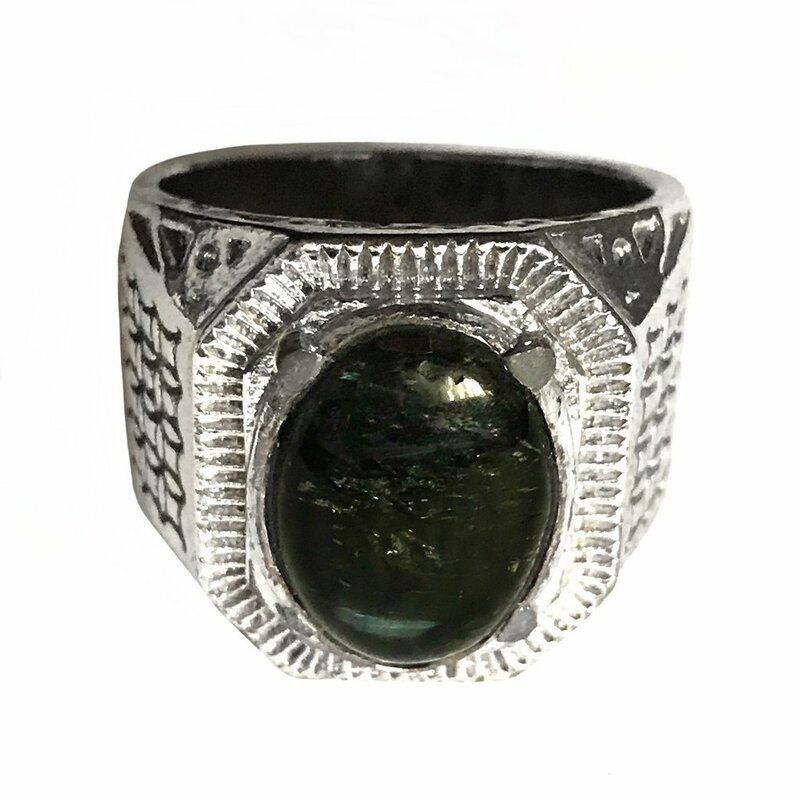 Previous: Previous post: Black Friday Shopping Deal 2018: 50% Off All Aqeeq Gemstones!